Summers have arrived and so is the season of the fresh red juicy watermelons. The watermelons are not just tasty, but it is packed with several nutritional benefits. Watermelons have minerals, vitamins; calcium, iron and many other natural compounds which can help you cure and prevent various health related problems. There are many nutritional benefits of watermelons and that’s what we are going to discuss in this post. Apart from nutritional benefits, melons have 92% of water and hence eating watermelons is considered to be great to keep your body hydrated. In summer, the temperature can rise even up to 45 degrees in the daytime. Such extreme temperature may cause fatal diseases like heart strokes and heart attacks. Hence, we should take advantage of the nutritional benefits of watermelons, especially in summer season. Dehydration, being the primary cause of several illnesses, watermelons can keep your body hydrated for long hours. This makes the fruit a perfect nutritious supplement for your body. Watermelons, as the name suggests, are incredibly hydrating with 92% water content, sugar, several vitamins and minerals. Watermelons contains Vitamin C, A, B6, calcium, magnesium, fiber, protein, niacin, thiamin several other carotenoids and phytonutrients including lycopene. You are aware of the grave importance of drinking water. It is recommended that we must have at least 7-8 liters of water daily for proper hydration. Having watermelons is one of the best ways to keep the levels of water normal in your body. The fruit is nutritious, tasty, sweet and highly beneficial for your body, skin and hair. There is no doubt that you can beat the heat by eating a cup of freshly sliced watermelons. It’s an awesome tropical fruit, which is naturally available in summer season. Here are some of the major nutritional benefits of watermelons and why it should be included in your daily fruit intake, especially in summer. With higher levels of uric acid in the blood, there are high chances of kidney damage. The free radicals can often damage the tissues and cause inflammation. Watermelons can reduce the levels of uric acid in the blood, and also detoxify. The toxins will be flushed out while urinating which is good for your health. The fruit is rich also rich in water, and therefore it will lead to more urination, which further reduces the chance of urine infection. Heat stroke is a very common illness in the excessive scorching heat of Indian summers. Due to the high water content of the melons, the blood pressure is normalized and the risk of heat strokes is reduced to a good extent. Apart from the water to keep yourself hydrated, you get a number of essential nutrients and vitamins from the melons. The body produces more sweat and thus the body temperature remains normal. If you are having melons daily, then the body will be hydrated for a very long time. Eating watermelons fruits is probably the best way to keep yourself hydrated in summer. With higher intake of water the digestion is improved, the process is much faster and smooth. It can also give you relief in constipation. Watermelons are rich in water. The water helps the liver to work faster and in a better way. When you eat food, the bile juice production is increased and the food is digested faster. Melons are also rich fiber which helps in smooth bowel movements. 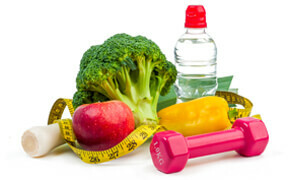 Studies says, Citrulline is an amino acid which helps in reducing muscle soreness. If you are doing gym or exercises for the first time, then the muscle soreness is cured, the watermelons can relieve the pain. Citrulline juice is very effective in curing muscle pain; it can give relief to your muscles. The potassium present in the fruit helps in preventing any kind of heart blockages. It reduces cholesterol and prevents serious conditions like heart attack and high blood pressure. Lycopene present in the fruit has anti-oxidant and anti-ageing properties which help in improving the cardiac functions of your body. Watermelons are a perfect food for diabetic patients and also if you are suffering from diabetes. The fruit is high in water content so it will make you fuller, you will not feel hungry. The fruit is sweet even though the sugar content is low. If you are having sugar cravings, then the fruit can be a good supplement. Having watermelons will give you fewer calories, and increase the production of insulin. Insulin productions in the blood help in maintaining the proper levels of sugar in the blood. Age related disorders like macular degeneration; cataracts can be prevented if you are having melons. With age, the eyes become weaker. Watermelon fruit will improve the blood circulation in the blood vessels. The retina and cornea will remain strong and helps you to prevent the dryness of the eyes. The fruit has a natural hydrating quality which prevents the eye dryness. Melons have vitamin C, lutein, zeaxanthin which promote good health of your eyes. The vitamin C present in the watermelons can surprisingly boost your immunity. Vitamin C is also known to increase the formation of connective tissues. Immune system in the body will help you to cure and prevent various diseases like flu, cough and cold, infections etc. There are many germs like bacteria and virus which can do potential harm to your body, if you have weaker immune system. Watermelons can improve your immunity and thus your body will become ready to take on those germ and bacteria. Watermelons are very riches in lycopene, even more than the tomatoes. Lycopene has the capacity to prevent the multiplication of the cancer cells, thus inhibiting the tumor growth. They are also rich in cucurbitacin E which prevents various kinds of cancers like prostate, lung, liver etc. The citrulline present in the watermelons have the capacity to prevent the accumulation of fats in cells. It can improve the metabolism, and stop accumulation of fat in the body. The watermelons also keep you fuller for longer hours due to high percentage of water. You will not feel hungry and refrain from eating and consuming extra calories. Did you know that eating watermelon can surprisingly benefit your skin? Yes. There are many benefits of watermelon for skin and you should enjoy this delicious fruits more often in summer. Watermelon contains a number of skin essential nutrients like Vitamin A, C, B6 and antioxidants. Watermelons are also loaded with lycopene and amino acids and hence it is highly beneficial for healthy skin growth. Apart from the number of skin essential nutrients and vitamins, watermelons are rich in water. It contains about 92% of water which can help hydrate your body and skin to a good extent. Due to the high hydrating properties of watermelons, it is widely used in various types of cosmetic products including lipstick, lip gloss, face wash etc. It’s rich with antioxidants which also promotes healthy skin and hence eating fresh watermelon very beneficial for your skin. As you know, watermelons contain vitamin C, which is essential for appropriate hair growth. Vitamin C can significantly add to hair growth because it helps our body in maintaining the count of iron in our red blood cells (RBC). Iron contents of RBC further help our body to carry sufficient oxygen to hair follicles. Another essential substance called collagen is essential for healthy hair growth and watermelons are known to promote collagen formation. Watermelon also contains natural substances that helps appropriate blood circulation in the scalp, which may help hair fall and boost hair growth. If your skin or the scalp is dry, then you can apply some watermelon juice on the affected areas for quick relief. Watermelon seeds oil is also available which can be used as a moisturizer to moisturize the hair. The melon seeds are not to be tossed away, they are rich in protein, fat, fiber, folate, iron, and magnesium. The seeds are low in calories and can be a good food to add in your diet. A cup of watermelons seeds contains about 51 grams of fat (Mono, polyunsaturated and saturated fats), out of which 11 gm are saturated fat. It also contains omega-6 fatty-acids which is surprisingly good in reducing high blood pressure level. Magnesium contents of the watermelons seeds help regulate blood pressure and blood sugar level, by increasing the metabolism of carbohydrates. Watermelons seeds have a unique texture and it tastes like any other dry nuts. Watermelons seeds can be used to garnish the food and beverages like smoothies. Most of the summer special smoothies can be flavored using watermelons seeds. Just a spoon of melon seeds, can add a unique texture to your smoothie. You may also like to roast the watermelons seeds in oven. Mix some olive oil, sugar, lime juice, chili powder and then bake the seeds to create a wonderful side dish. Watermelons seeds are equally beneficial as the fruit. Munch a handful of watermelon seeds whenever you feel like and enjoy all the health benefits it offers. The only thing to note is the calorie content. A cup of watermelons seeds may have up to 600 calories, so eat moderately. Watermelons are super delicious and soothing. But the only issue is, it has lots of seeds. So slice the melon horizontally and then further slice it, into two pieces. You will have four different slices. Take out the seeds from the sliced portion. Now slice the red layer of the pulp which is edible. You can cut the fruit in slices and then and simply have them. You may also like to sprinkle sea salt and roasted cumin seeds for taste. You may also like to make juice and smoothies and eat it fresh. Usually while making melon juice, I personally like to add some ginger, a pinch of sea salt to enhance the natural sweetness of the fruit and some ice crush or cubes. No need to added artificial sugar, and if you need sweetness, you can use honey as well. It’s better to make fresh melon juice and consume it, the juice can be refrigerated for a couple of days. Just make sure to store it in a air tight container. Apart from the above benefits, watermelons are beneficial for your skin and hair, because of the vitamin c and antioxidants, watermelons are very beneficial for healthy skin and hair. 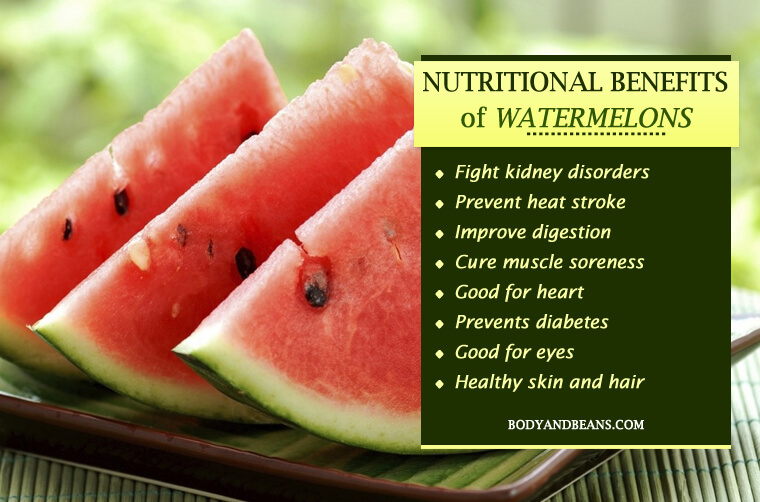 The best part is that watermelon seeds are equally beneficial for your health. You should not miss having this fruit daily in summer and enjoy all the health benefits of this amazing fruit. Have you started eating the watermelons to beat the heat?